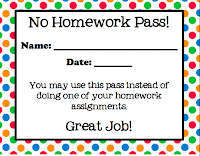 I don't give away no homework passes often. I consider homework to be a continued practice of what we work on in school. I consider it to be pretty important! However, I did promise one for my students before the break if they completed their behavior chart. I figured I'd share! Check it out here. 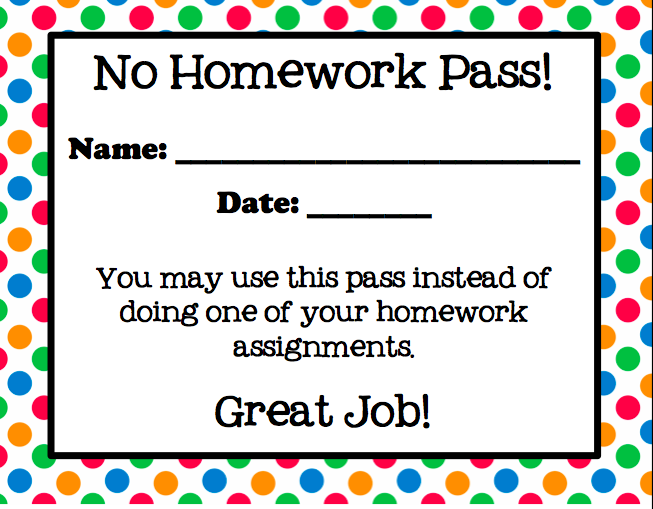 Ohhh and I am super stoked about this homework pass as I need one for my kiddos! Thanks for sharing!! Thank you so much for this and I am so happy to be one of your followers! I would love for you to come visit me and grab LOTS of *freebies*! Your blog is so cute!